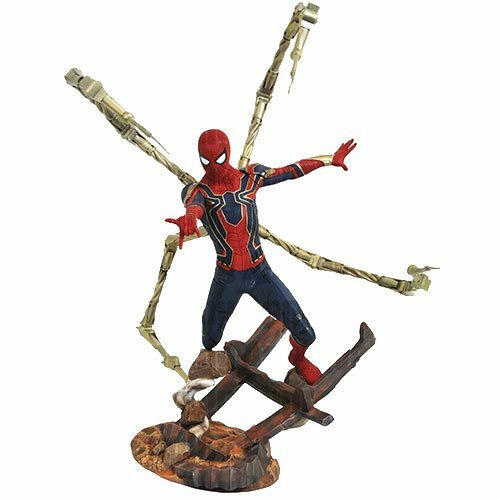 Limited edition statue of Iron Spider Spider-Man! Based on Spidey's appearance in Avengers: Infinity War. Features an amazing diorama base and comes with a certificate of authenticity. Reflecting Spidey's appearance in Avengers: Infinity War, this Marvel Premier Collection Avengers: Infinity War Iron Spider-Man Statue is a hand-numbered limited edition of 3,000 pieces. Sculpted by Cortes Studios and made of resin, it features an amazing diorama base and comes with a certificate of authenticity in a full-color, hand-numbered box. Ages 14 and up.